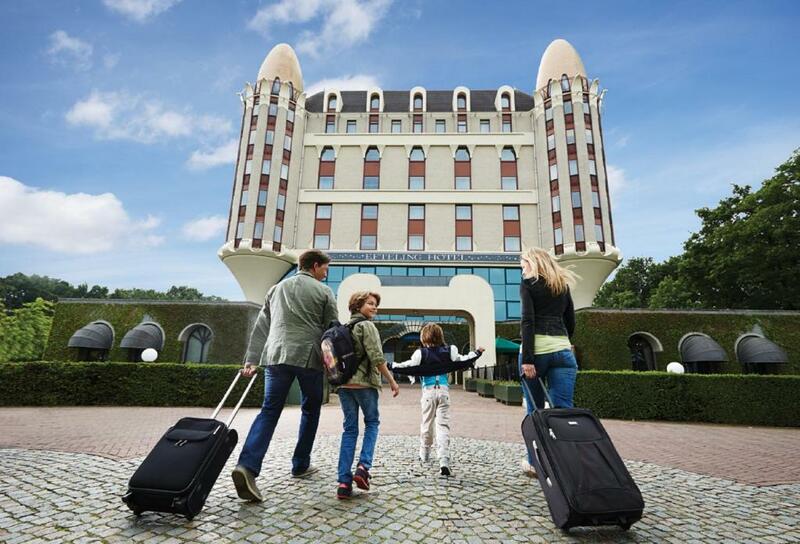 Lock in a great price for Efteling Hotel – rated 8.6 by recent guests! Nice staff, location of course and dedicated entrance to the park for hotel guests. 1) The location is really good, right next to the Efteling park. Following yellow feet print to the park for 2 mins. 2) Staffs in hotel are friendly and helpful. 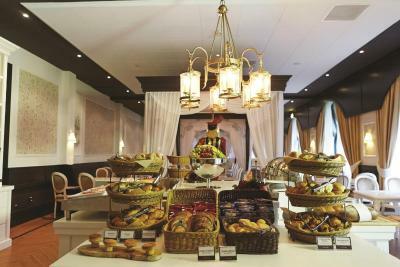 3) The breakfast is really nice, comfortable seats and nice environment. Fantastic service aided by a truly wonderful theme park experience. It was their slower time so limited waiting in lines but the rides were fun (Symbolica new in 2017), roller coasters were fast (Draak) and the place magical (farytale forest). There were some 'rides' that could have been better (Spookslot/haunted house). But there were a few new ones that I have not seen at Disneyworld, Universal or Legoland in Orlando (Bob the bobsled ride, its not on a track). I highly recommend it for those looking for an experience outside of the US parks. PS I have also been to Disleyland Paris and Garda land, and while I enjoyed them all would have to rate Efteling as my favorite among the 3. 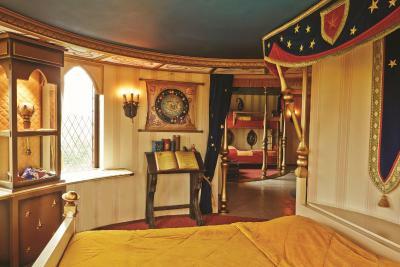 The fairytale themes were on display throughout the hotel, including the bedroom! The hotel provides parking at no extra charge for guests and a special entrance to the theme park that is only steps away. The value for money is good when you factor in the admission to the park and the excellent buffet breakfast included in the rate. We found our room to be pleasant and more than comfortable for a family of four. All the staff members we met were very friendly and helpful. 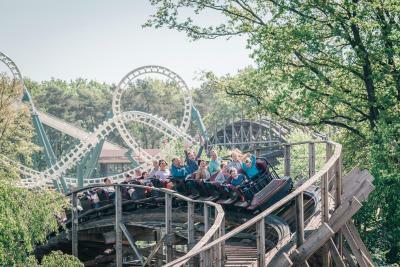 You absolutely need two days to visit the Efteling park and with a stay here you get entry to park on day of arrival and day of departure, so it's perfect! The room itself is a fairytale - even our mirror was magic, separating to reveal the flat screen tv! 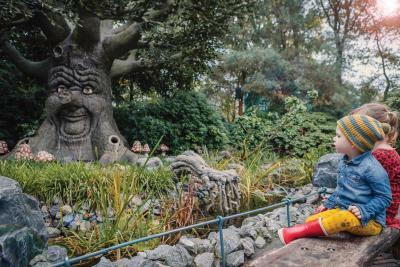 It was a lovely escape into the world of Efteling from the booking desk on! The breakfast was amazing and covered anything you could possibly want from top notch Continental to traditional American to cupcakes! When you calculate the incredible room, included breakfast, park entrance and all, this is a bargain! The luggage storage is a little quirky - it's self service and if your valuables don't fit in a locker there's not a way to lock them. It's not an issue - there's lots of staff around. It's not a problem, just a little different than we are used to when we check in early and leave bags. 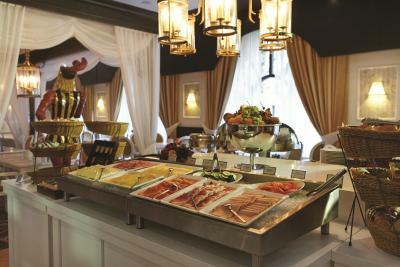 Staff were excellent, spacious rooms, breakfast very good! We very much liked the walking distance nearness of the Efteling park and the ability to get in 30 minutes before other guests. The room was nice, there seems to be an effort to make it highly detailed for kids. Efteling Hotel This rating is a reflection of how the property compares to the industry standard when it comes to price, facilities and services available. It's based on a self-evaluation by the property. Use this rating to help choose your stay! This fairytale hotel is located next to the Efteling theme park in Kaatsheuvel, a 20-minute drive from Tilburg. 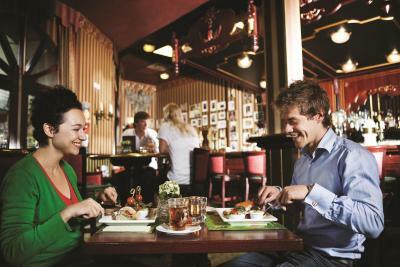 It includes a themed restaurant, Anton Pieck inspired bar and free Wi-Fi. 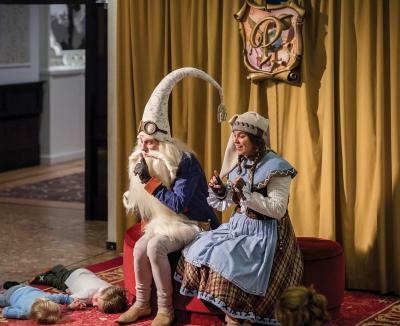 The air-conditioned rooms of Efteling Hotel feature décor with magical touches and have a TV with movie and children’s channels. Each private bathroom is decorated with a theme and includes a bathtub. 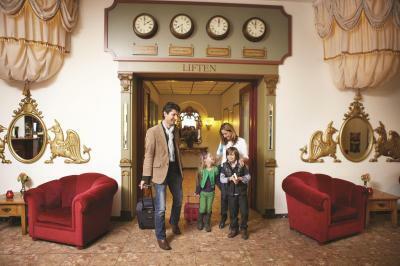 Children are welcomed at Hotel Efteling at a special check-in desk. There is also a play castle, playground and a theater. The hotel also benefits from a spacious terrace for warmer weather. 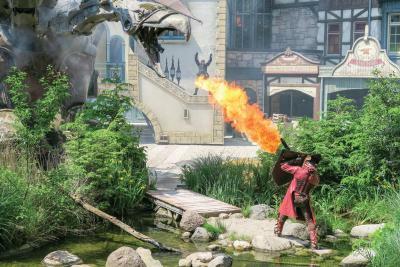 The Efteling theme park is open throughout the year. During the winter the park turns into a winter wonderland with special activities including ice skating and sleigh rides. 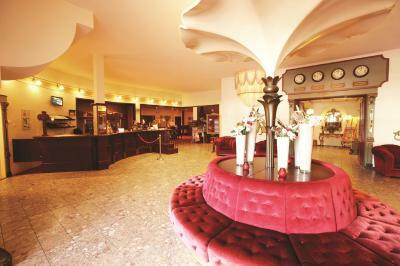 The Efteling Hotel is a 15-minute car ride from De Loonse en Drunense Duinen National Park. ’s-Hertogenbosch is a 30-minute drive away. Free public parking is available on site. This property also has one of the top-rated locations in Kaatsheuvel! Guests are happier about it compared to other properties in the area. 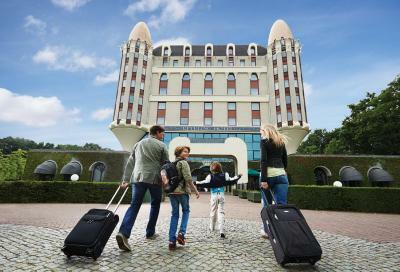 When would you like to stay at Efteling Hotel? This room features a desk and TV. The bathroom is fitted with a bath and shower. This room features a desk and TV. The bathroom is fitted with a bath and shower. Guests get unlimited access to the amusement park for the duration of the stay (1 night stay is 2 days entry). This triple room features air conditioning. Guests get unlimited access to the amusement park for the duration of the stay (1 night stay is 2 days entry). 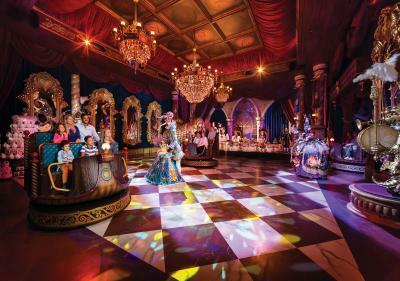 Enter a world in which fairytales are brought to life. Swoop past dragons and ghosts, and float through a wood filled with elves and trolls. 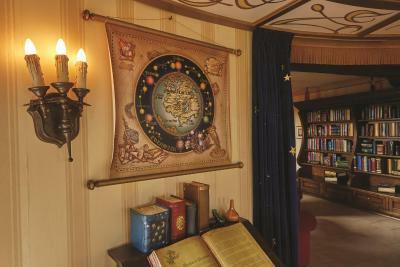 Make the enchantment complete by staying at the Efteling Hotel. 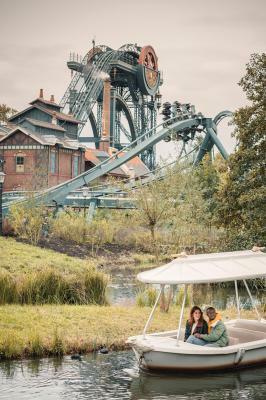 Efteling is open every day so you can enjoy the wonder all year round. 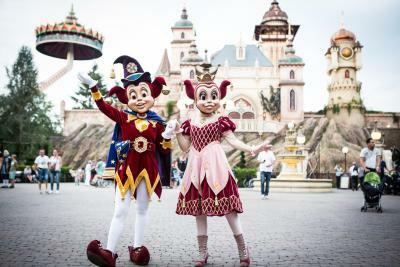 House Rules Efteling Hotel takes special requests – add in the next step! ATM card Efteling Hotel accepts these cards and reserves the right to temporarily hold an amount prior to arrival. Efteling Hotel accepts these cards and reserves the right to temporarily hold an amount prior to arrival. There is nothing we can say we didn't like here. Maybe they could have put up a Christmas tree and made it more festive! We don't consider our self pampered but when we pay an obscene amount of money - we do expect a better experience. We were surprised there was no one to greet and help with the luggage at the hotel entrance. The reception was hectic and impatient (granted - there was a convention at the hotel, but still). It took more than 2 hours for some requests i've made with reception to follow through. The room is just 'fine' but the bed are uncomfortable, we all woke up with backaches :( Also - avoid the hotel restaurant - it's mainly a tourist trap or for throwing a birthday. Not at the main entrance of Efteling park. So if you’re taking a bus to the park make sure to get off one stop before the Efteling park stop, else there will be a long walk to the hotel. If your park entry is part of your hotel stay, you will need to check into the hotel first and then take the rear entrance next to the hotel to enter the park. If you’re in Amsterdam and want to visit the park, the best way to reach the park economically would be to take the inter city train (1 hour ride) and then a bus to the park (45 minutes ride).